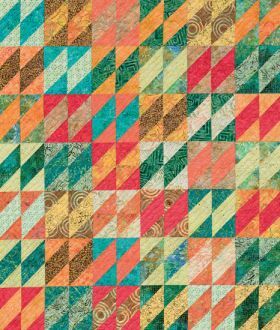 Just one bundle of precuts is all you need to make a simply striking quilt--and make the most of every bit of your fabric! Find 12 quick-to-make quilts in a range of styles that you can stitch with Jelly Rolls, fat-quarter bundles, or Layer Cakes. 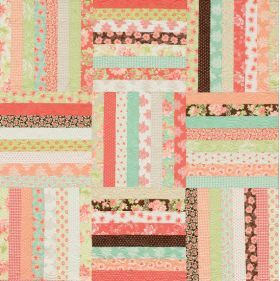 No additional fabric is needed for the background or borders, and there will be almost no leftover fabric when the quilt is finished. Pre-cuts have become very popular. They save us time and are color coordinated or contain a complete family of a particular design. These quilts are made from either a jelly roll, layer cake or a fat quarter bundle. There are four patterns for each type of pre-cut. The author gives your three pages of tips on how to work with pre-cuts like DON’T WASH THEM which is the very first thing the author writes. 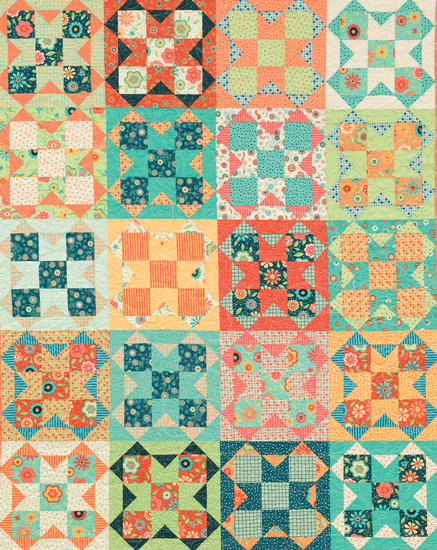 The patterns all have a color photo of the quilt and its finished block and quilt size. There is a paragraph about the item. Graphics and well worded instructions make creating the item easy. 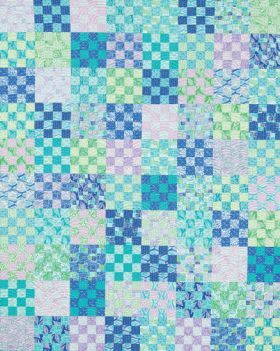 Some patterns have a box that gives you instructions on how to resize the quilt to make it a different size than the given pattern. At the end of the book, you will find a short bio about the author. 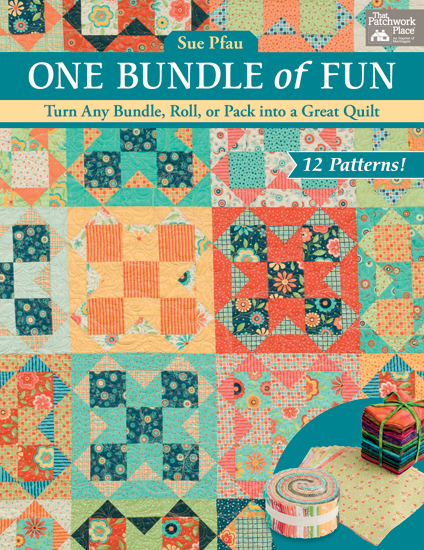 If you are new to quilting or just want to create something with less cutting time, this is the perfect book to have. Este libro tiene la particularidad de ofrecernos 12 patrones para 12 quilts que se confeccionan con alguna de las variantes que las marcas de tela ya nos venden por paquete. A mí me parece sensacional pues frecuentemente cuando vamos a una feria o estamos de viaje y entramos a una tienda de telas y nos enamoramos de una combinación o gama de colores, no traemos en mente un proyecto específico y dudamos si estamos comprando la cantidad correcta. Por otra parte, la gran ventaja de comprar estos conjuntos de telas agrupadas es que alguien ya hizo algo del trabajo por nosotras eligiendo las combinaciones y esto es una ventaja pues hay quien no se siente muy segura al seleccionar una paleta de colores. 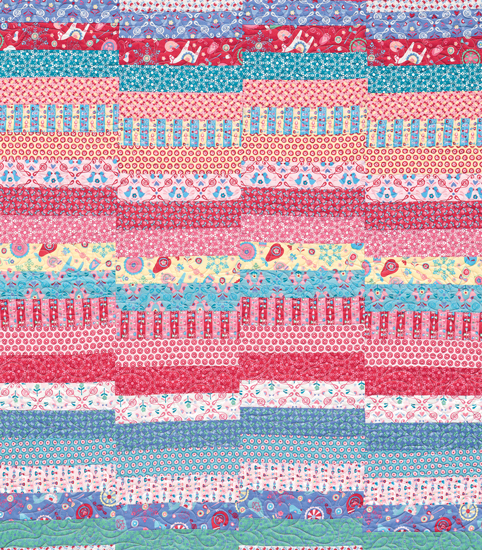 Moda Fabrics ha sido pionera en el desarrollo y comercialización de estos paquetes que nos facilitan enormemente la elección.Dividido en tres secciones, la autora nos ofrece 4 quilts hechas con Layer Cake, 4 hechas con Jelly Roll y 4 con Fat Quarters. Además el libro está salpicado de consejos que si bien muchos son del conocimiento de la mayoría de nosotras quilters, siempre vale la pena recordar y ponerlos en práctica. Los proyectos están diseñados para quienes debutan en el mundo del patchwork así como para quienes ya tienen experiencia intermedia. 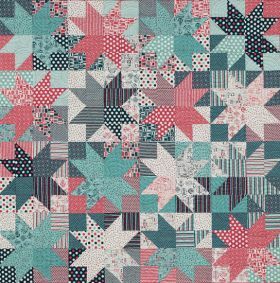 En la última sección se incluye un compendio muy claro de los pasos básicos para hacer una quilt de principio a fin. Yo regalaría este libro a una amiga, acompañado de uno de los paquetes de tela arriba mencionados y sé que la haría enormemente feliz. Great book with lots of ideas of what to with the layer cakes, jelly rolls, charm squares, etc. I love the notes she incorporates, the illustrations are wonderful and her directions are easy to follow. Great job! As a fan of one block quilts, I loved the range of projects in Sue Pfau's new book. 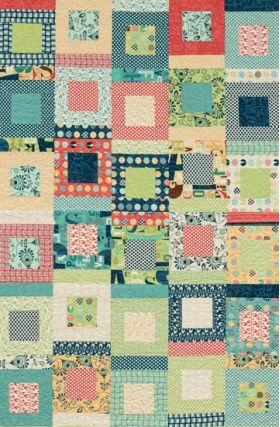 Most are simple designs that are suitable for beginners, as well as making great weekend projects for those with some quilting experience. 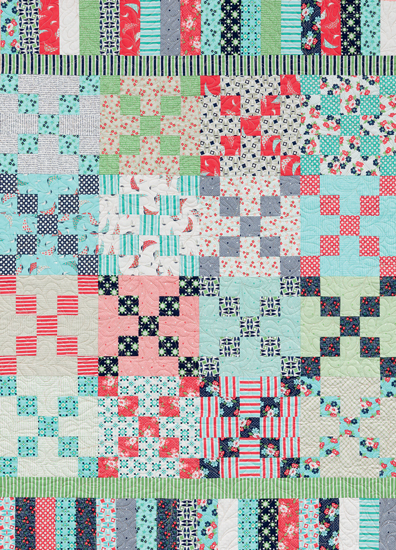 The twelve projects are evenly separated out into three sections depending on what you need; Layer Cake, Jelly Roll and Fat Quarter. 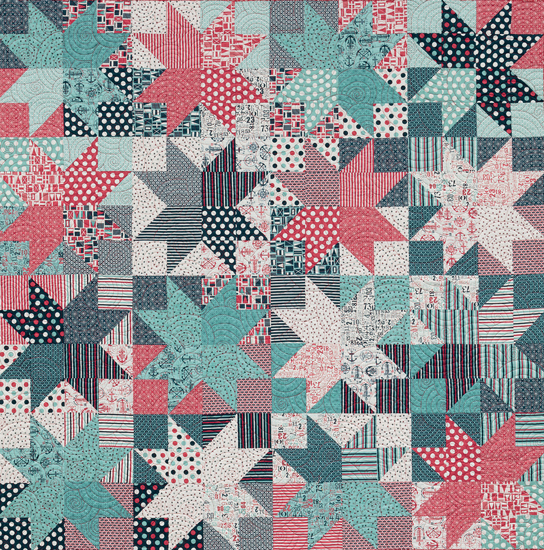 None of the quilts require any additional fabric to make the tops so you can get straight to work, as well as helping cut down the time spent choosing fabric. 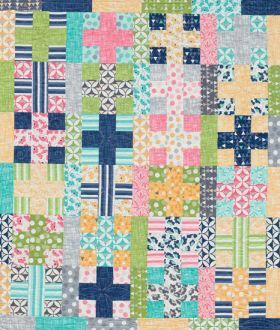 The author also advises on topics such as working with limited fabrics, creating contrast in your layout and increasing the quilt size, so if you wish to use scrap fabric there are plenty of tips you can follow. 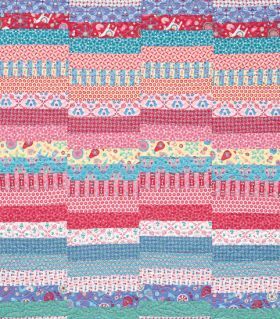 Each project shows at least one alternative colour way and there is an interesting mix of fabrics, from florals to batiks. If you often make quilts as presents, or are looking for projects that are quick to make, then do take a look at this book. Sue Pfau first started quilting as a flight attendant, bringing hand applique on flights. In 2006 she began making and selling quilts but had a hard time finding patterns that were quick and easy yet also beautiful and interesting. So she began designing her own. 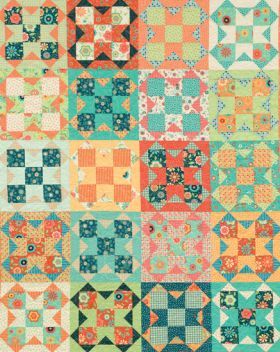 This led to her design company, called Sweet Jane's Quilting and Design after her daughter, Jane. Visit Sue at SweetJanesQuilting.blogspot.com or her shop at SweetJane.etsy.com.